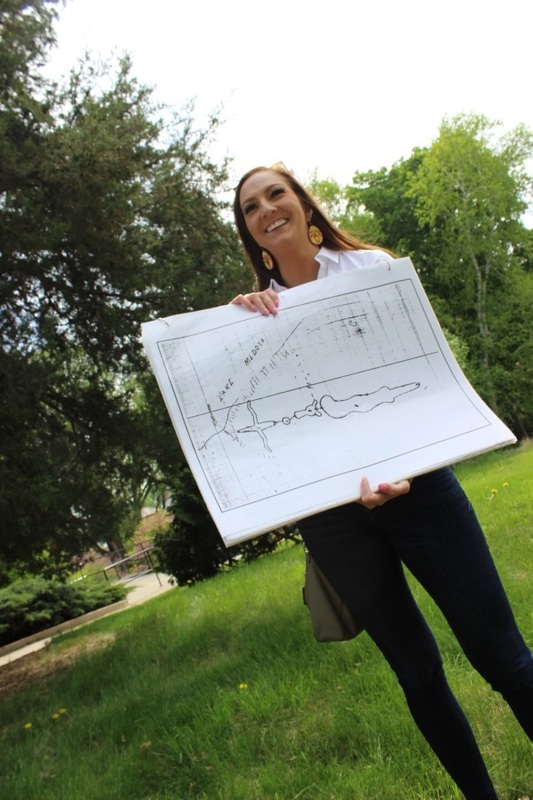 Rebecca Comfort recently began her new duties as the American Indian Nation Liaison at the Wisconsin Historical Society, housed on the University of Wisconsin - Madison campus. “The American Indian Nation Liaison's position is responsible for maintaining and fostering relationships between the 12 American Indian nations of Wisconsin and the Wisconsin Historical Society, particularly as it relates to the new Wisconsin history museum that's in the works,” Comfort said. Comfort is an enrolled member of the Keweenaw Bay Band of Lake Superior Ojibwe and is currently serving as the first American Indian Nation Liaison for the Wisconsin Historical Society. Before joining the Wisconsin Historical Society, Comfort worked as the scholarship coordinator for the Forest County Potawatomi Foundation and as the interim American Indian Curriculum Services consultant for the School of Education at UW-Madison. She also served as a South region board member for the Wisconsin Indian Education Association (WIEA) from 2016-2017 and is currently one of two Southeast region board members. Comfort graduated from UW-Madison in 2014 with a bachelor’s of science in art and American Indian studies. “As the American Indian Nation Liaison, it's my responsibility to bring the tribes' voices and concerns to the forefront of the Society, and ensure that each tribal community in our state has the opportunity to tell their story through their own words, rather than having the Society interpret their stories for them,” Comfort said. Situated in the Director's Office, this position provides a direct line of communication to the Historical Society's Director, Christian Overland. In addition to working with each of Wisconsin's First Nations, the Liaison also assists the Historical Society internally with professional development and other issues concerning American Indians. The idea for a new state history museum has been around for nearly two decades. There’s not a set finishing date, however, estimates are that the project will be completed in late 2022 or 2023, she said. With her new position as American Indian Nation Liaison, she has a great sense of pride in her work. “On a personal level, I love my job because I feel like I’m making a meaningful impact. I see this position as somewhat of a leadership role within the Historical Society, and as a learning role in Indian Country,” she said. The mission of the Wisconsin Historical Society is “to connect people to the past by collecting, preserving, and sharing stories,” she said. The state has a history of human occupation that dates back at least 12,000 years. “We can’t tell the story of Wisconsin without telling the story of the people who have called this place home since time immemorial -- especially considering Wisconsin has only been around for 170 years, which represents a meager 1.4 percent of our history,” Comfort said. Historically, the state’s relationship with American Indians has been rocky, to say the least, she said. “We’re in a period of reconciliation that started in the 1970s with self-determination; but, if we look back, Wisconsin gained statehood during Indian removal and was complicit in the ethnic cleansing that was taking place east of the Mississippi River,” Comfort said. “This colonizing relationship persisted well into the 20th century -- including the assimilation (boarding schools) and termination eras. As a state institution, it’s our job to acknowledge our past -- the good and the bad -- so we can move forward in meaningful ways,” she said. “By creating this position, the Historical Society recognizes the need for a greater American Indian presence at the Society and in the new museum. The position also operates as part of the Director’s Office, providing a direct line of communication between the tribes and our Ruth and Hartley Barker Director, Christian Overland,” she said. There are oral histories in the archives. It is just a matter of who, what, and when they will be recorded in the future and how it will be included, she said. “Nothing regarding content for the new museum is set in stone, but I can’t imagine that they wouldn’t be included. Oral histories are an integral part of telling our stories as American Indian people. I think this would be a phenomenal project to pursue regardless,” Comfort said. During her time as American Indian Nation Liaison, she plans to both be a receptor for Native Americans, to listen to their stories and concerns, and an ambassador to approach each of the tribes and their people. “It is absolutely essential that American Indian voices are integrated into each aspect of the new museum. To do this successfully, the Wisconsin Historical Society has to be proactive about reaching out to each of the tribes and making a concerted effort to collaborate in a good way,” she said.